Of all the fictional sneakers that have penetrated pop-culture over the last few decades, the $125 Assassins from The Simpsons might be the last remaining relic that hasn’t hit stores. According to Ned Flanders, who gently stunted on his neighbor Homer Simpson, the Assassins come equipped with custom nameplates, a water-pump on the tongue, Velcro straps, a pedometer, and a heart-rate monitor. 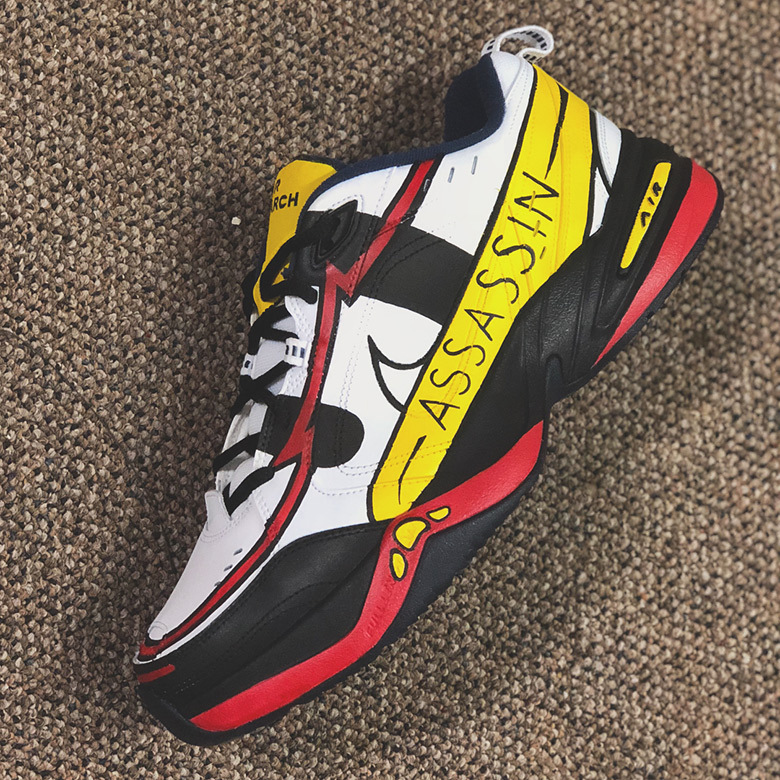 Sneaker customizers who have taken a stab at creating the Assassins weren’t able to replicate those features, but Mache Customs translated the look to the hot dad-shoe of the moment – the Air Monarch IV. Peep his creation below, and if you’re not too familiar with the history of the Assassins, check out the video.